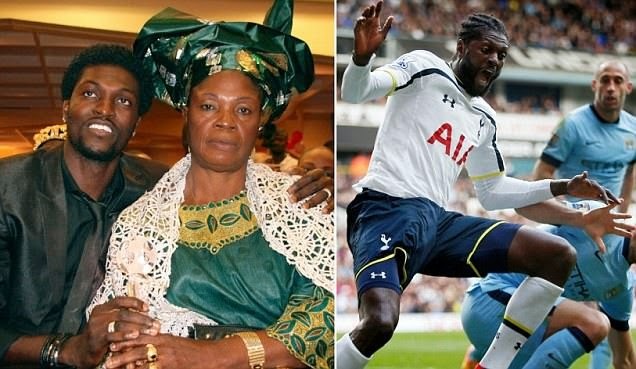 Footballer Emmanuel Adebayor and his family have been on the receiving end of a lot of questions recently as they media reported that things were not going so smoothly on that front. 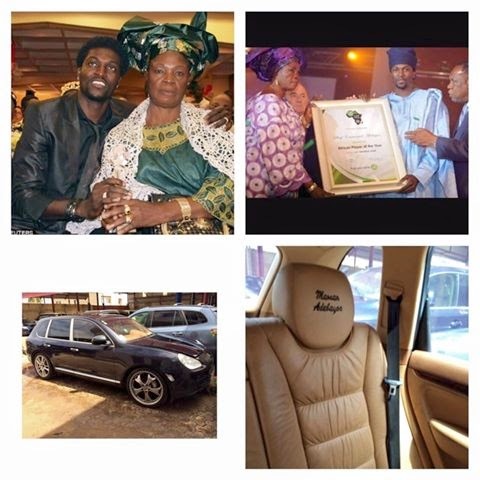 In a bid to answer all questions and shed more light on his situation, Emmanuel Adebayor shared a lengthy post on Facebook revealing whats goig on with him and his family. mine. Also keep in mind that none of this is about money. At the age of 17, with my first wages as a footballer, I built a house for my family and made sure they are safe. As you all know, I have received the trophy of African Player of the Year in 2008. I also brought my mother on stage with me to thank her for everything. In that same year, I brought her to London for various medical check ups. When my daughter was born, we contacted my mum to inform her but she immediately hung up the phone and didn’t wanna know hear about it. Reading your recent comments, some people said my family and I should consult T.B Joshua. In 2013, I gave my mother money so she could consult him in Nigeria. She was supposed to stay for 1 week; but 2 days into her stay, I received a call saying she left. Apart from all that l also gave my mother a great amount of money to start a business of cookies and different items. Naturally, I allowed them to put my name and picture on them so they can sell more. What else can a son do in his power to support his family? A couple years ago, I bought a house in East Lagon (Ghana) for $1.2 million. I found it normal to let my older sister, Yabo Adebayor stay in that house. I also allowed my half brother (Daniel) to stay in the same house. A few months later, I was on vacation and decided to go to that house. At my surprise, I saw many cars in the driveway. In fact, my sister decided to rent out the house without me knowing. She also kicked Daniel out of that house. Note that the house had about 15 rooms. When I called her and asked for explanation, she took about 30 minutes to abuse and insult me over the phone. I called my mother to explain the situation and she did the same as my sister. This same sister says I am ungrateful. Ask her about the car she is driving or anything she is selling today? I was in Ghana when I received the news about my brother Peter being seriously ill. I drove the fastest I could to Togo in order to meet him and help. When I arrived, my mother said I could not see him and I should just give the money and she would solve everything. Only God knows how much I gave her that day. People are saying I didn’t do anything to save my brother, Peter. Am I a fool to drive 2 hours to Togo for nothing? Many people requested that I take advice from the living legend, @DidierDrogba.